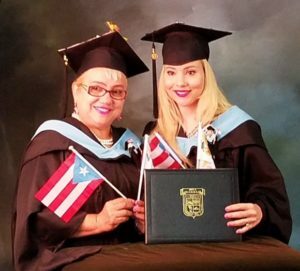 Fifteen St. Croix educators recently earned a Master’s of Education degree with a concentration in English as a Second Language (ESL) from the University of Turabo in Gurabo, Puerto Rico. 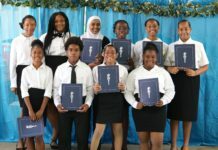 The educators comprised the St. Croix ESL Program (SACEP) Cohort through a grant awarded to the Virgin Islands Department of Education that affords teachers the opportunity to attain an advanced degree in education. 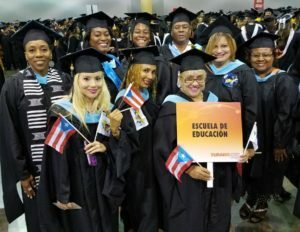 Nine of the 15 teachers attended the June 14th ceremony, held at Centro de Convenciones de Puerto Rico Pedro Rosello in San Juan, where they were lauded by university officials and other graduates. Chaselle McConnell, a Spanish teacher at St. Croix Educational Complex High School, was one of the graduates. For McConnell, the experience was twice as memorable. “My mom and I both graduated from the program together,” she said. McConnell’s mother, Zulma Torres, is an ESL teacher at Central High School. Mother and Daughter Zulma Torres and Chaselle McConnell graduate together. Some of the courses educators were required to complete in the intensive three-year program, which began in 2015 and concluded in July 2018, included “Language, Cognition and ESL/Curriculum Development;” “The Use of Computers in ESL Curriculum and Instruction;” and “The Teaching of Writing: Theory and Practice,” among others. 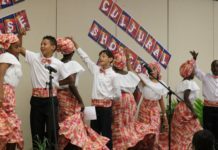 Professors from the University of Turabo and the University of the Virgin Islands instructed the teachers each month at the St. Croix Curriculum Center. As for how she plans to use her newly attained master’s degree, McConnell said she will continue teaching high school Spanish, but finds the ESL strategies she’s learned to be beneficial in helping her students learn the foreign language.